Tonight I was writing an article to be published on this blog in a few days’ time, and all the while I was writing, I kept speaking out loud in British accent. It’s an ideal way of practicing your accent, and that’s what I normally do anyway when creating a written piece of content – I speak out loud! It helps me verbalize my thoughts and put them up on the screen in a written format, and I do pretty much the same thing when I write articles for my other blog at EnglishHarmony.com. I spent just over an hour engaged in that particular exercise, and next thing on my schedule was taking my dog for a walk. I’m still feeling a little bit unwell so I decided not to go for a run; instead we just walked to the nearby church yard and I let my dog run around the field and do his doggy things! I didn’t waste my time however; I spent the entire duration of the walk speaking in English with myself. 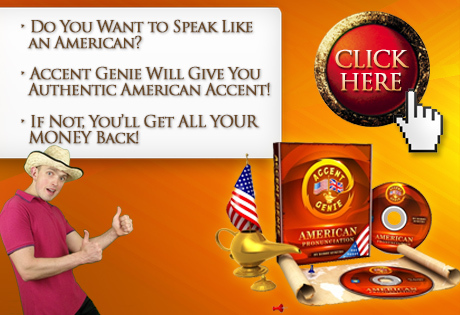 As you can imagine – it was done with a single purpose in my mind – to get into my target British accent mode, and after some time I felt VERY comfortable speaking with that particular accent! Now I’m back home and here’s how I sound after almost 2 hours of endless British accent self-practicing – check out the video above! Previous post: No More Accent Missions – Gotta Focus on My American & British Instead!